It’s February. The moment we all thought that our mild winter in Vancouver was welcoming Spring, Ta-daaaa! !… we suddenly get hit by the coldest temperature we have ever experienced…-5… unbearable cold based on ‘our‘ standards here in the West Coast. Can’t begin to fathom how the East Coasters are surviving -40. Given that I work with hair as my material to create shapes on the head, I am often fascinated by anything in nature that takes the appearance of hair. Isn’t this shot COOL or what??! 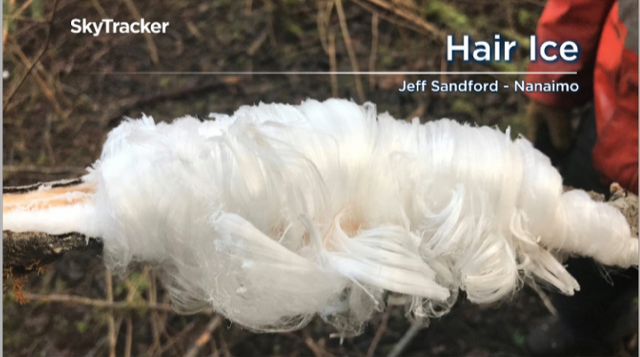 What you see above is a rare natural phenomenon called “Hair Ice”. It’s created by a particular fungus in moist rotting wood in an environment that’s pretty specific: There has to be enough moist air in a temperature that’s slightly below 0 C generally confined to latitudes 45N and 55N. 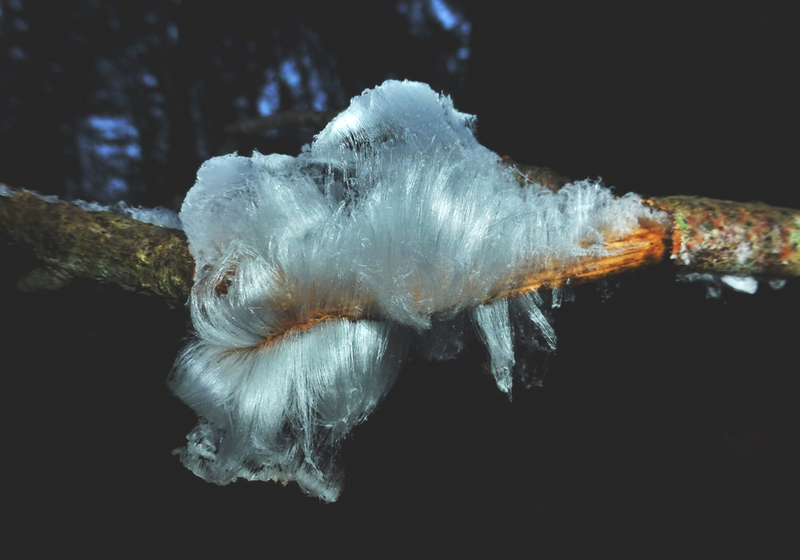 In 2015 a few scientists identified the fungus as Exidiopsis effusa which led a process called “ice segregation”. This essentially means when water in the wood freezes, the liquid trapped between the ice and the wood pores creates a suction that pushes the water out to the edge of the ice where it freezes and extends outwards. The repetition of this process pushes “thin hair” of ice out of the wood about 0.01 in diameter. ← Ready for a scalp detox?